After our successful innovation of the Streamliner chalker, we continued with a parade of new tools over the years. 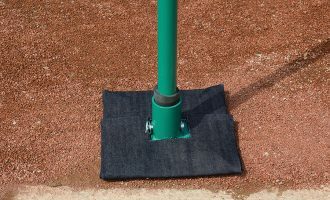 But none of those would have the impact on fellow groundskeepers like the redesign of one of the sports field industry’s most commonly used tools… the tamp. 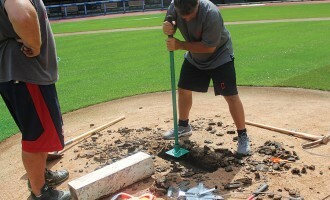 The tool of necessity for maintaining baseball and softball fields is also the “tool of torture” to a groundskeeper. 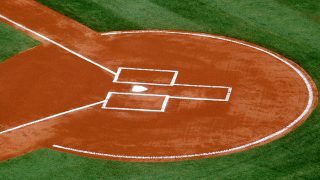 Just ask any groundskeeper about the blisters or calluses on their hands or maybe their sore shoulders and back from pounding clay. The idea for designing a new tamp began with our desire to create a tamp that had interchangeable head sizes to better zero in on the combination of coverage and force to meet the job at hand. Soon after development got under way, our design team decided to also add a “dead-blow” dampening effect to the tool and to make a tamp where the head self-adjusted so the plate would always strike the clay squarely. Both of these improvements would ensure that the operator was delivering the full power to their target. 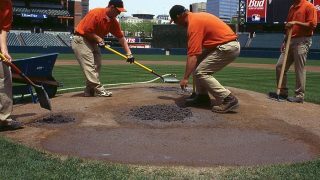 Hitting squarely is an issue for groundskeepers when tamping on the slope of the mound since many times a delivered blow would strike the slope at an incorrect angle causing the handle to jerk and send considerable vibrations reverberating back through the operator’s arm. By allowing the tamp head to articulate by 5-to-7 degrees, it would easily self-correct as the head was making impact with the clay while the dampening effect absorbed and reduced the vibration and directed all power downward — where you need it. The summer of 2014 was spent running tests with electronic monitoring to gauge how effective the dampening effect would be, but the design team couldn’t get substantial quantitative evidence that the damping effect was working. Eventually the decision was made to make two identical prototype tamps, one with the dampening effect and one without. 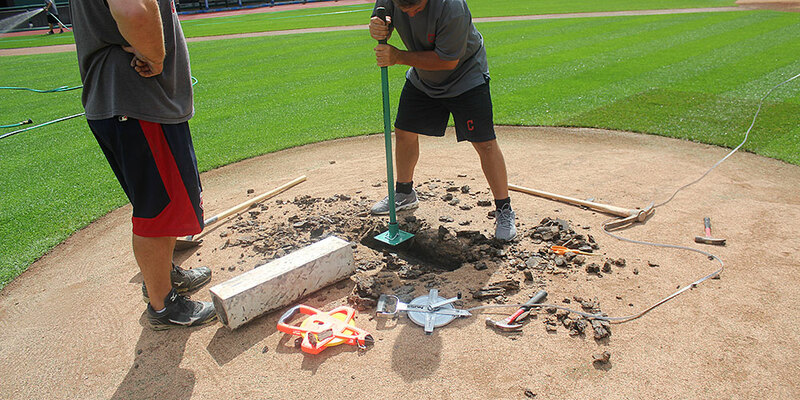 They were then taken to our testing facility at West Madison Little League on the city’s west side where the ground crew was tasked with the job of putting the two tamps through a rigorous series of tests. It didn’t take long for the ground crew to come to a decisive conclusion as to which was the better tamp. The dampening effect won hands down with barely any consideration for the other demo unit. In fact, the crew was very reluctant to give the demo unit back — they didn’t want to wait to use a superior tool. At that point, we had the essential design worked out but we were running out of time to get it into the January 2015 Beacon Product Catalog. 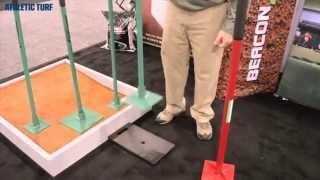 It was decided we would introduce the newly named SweetSpot Tamp at the 2015 National STMA Conference despite it not being ready in time to be published in that year’s catalog. We looked at it as a soft opening. The reception by the attendees at the 2015 STMA conference blew all our expectations out of the water. We had a clay mound in the display for people to try the tamp and all it took was one hit by most people and they would slowly raise their head with their eyes bugging out in amazement. They couldn’t believe the lack of vibration and how the plate adjusted to the angle of the slope. It was a home run! Word began to spread of this revolutionary new tamp, and we made it available in our web store soon after, but it would still be another full year before we had it in our annual catalog. And there you have it, another Beacon Miracle! 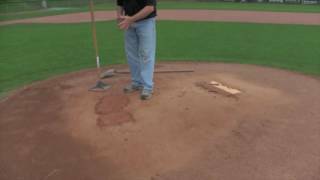 Ok, so maybe not a miracle, but many groundskeepers now swear by the SweetSpot Tamp. 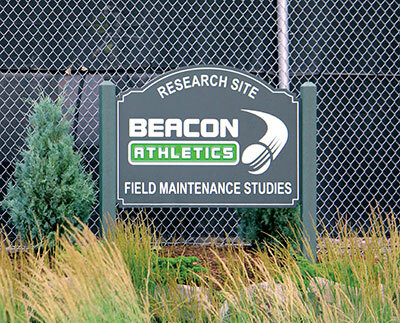 It has quickly become a legacy product in the long line of products developed by Beacon Athletics. It’s really a story of great innovation reinventing what had seemed to be a very basic and ordinary tool for the groundskeeper. What could you do to improve a tamp? Well, this definitely is not your father’s tamp. Watch this demostration of the "dampening" or "deadblow" effect to reduce recoil. 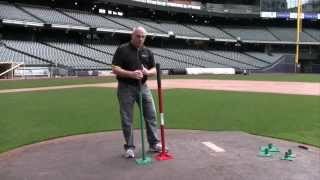 See the revolutionary features of the SweetSpot Tamp System. 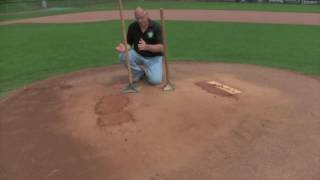 Post-Season Renovation Part 3: Mound & Home PlateScore One for the Tall GroundskeepersSTMA Attendees LOVED the SweetSpot Tamp!